Check out Tobi's Diem Plaid Cardigan Check out the Diem Plaid Cardigan for a seriously warm knit. 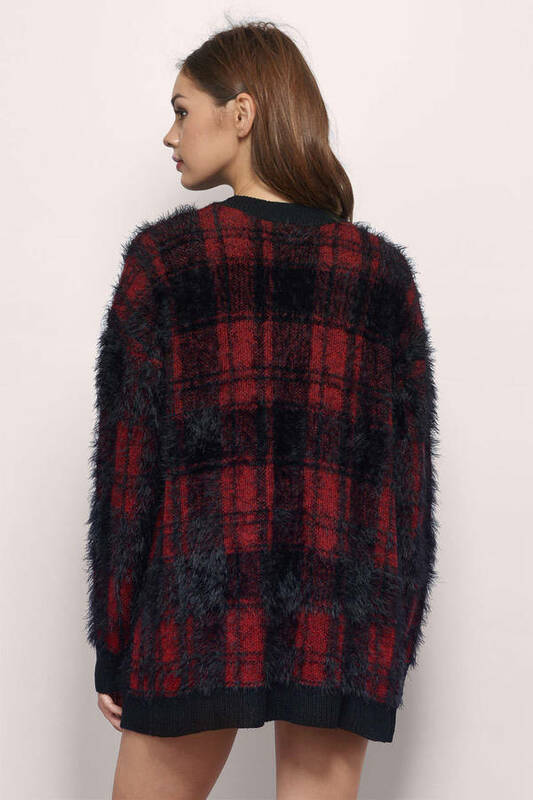 This statement piece keeps a casual outfit fun with its open front, slightly oversized fit, and fuzzy plaid design. Layer it over a cami dress and booties or distressed denim and your favorite tee. 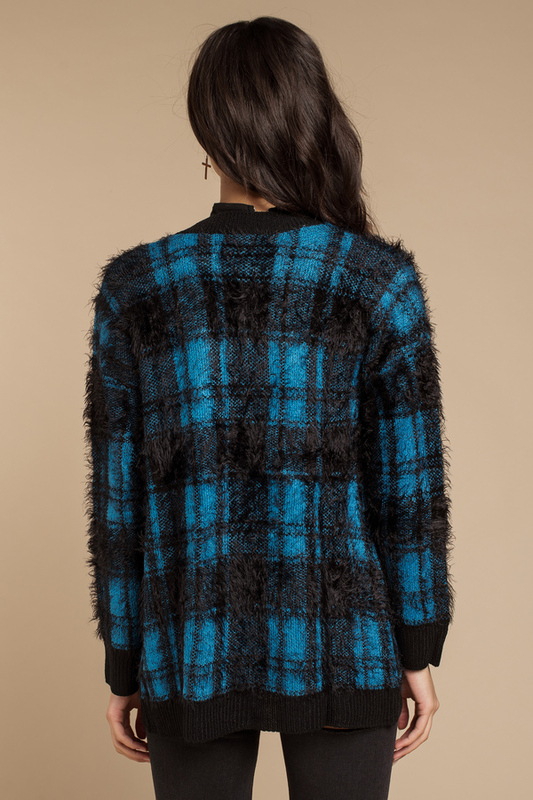 Check out the Diem Plaid Cardigan for a seriously warm knit. This statement piece keeps a casual outfit fun with its open front, slightly oversized fit, and fuzzy plaid design. Layer it over a cami dress and booties or distressed denim and your favorite tee. Black & Blue, Black & Red modeled on a size Small.